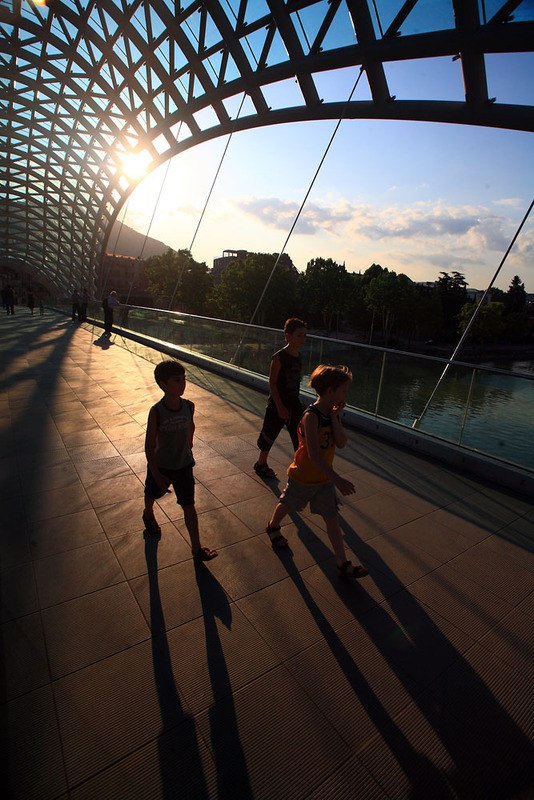 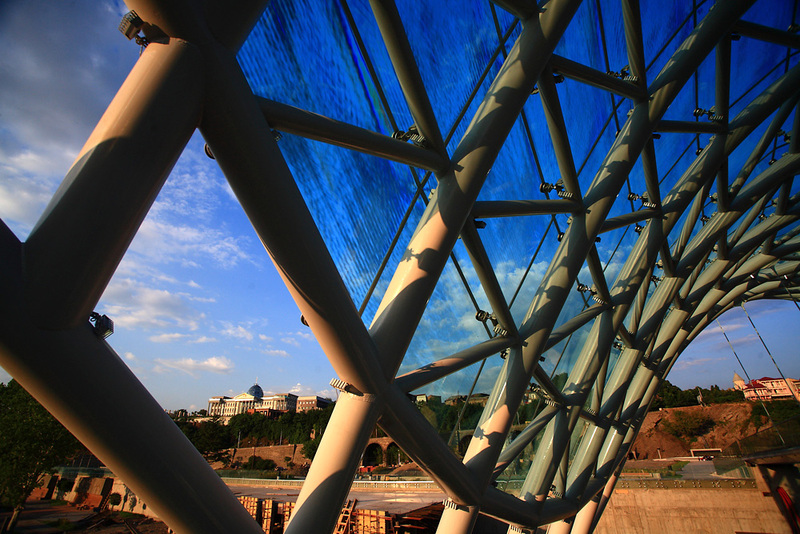 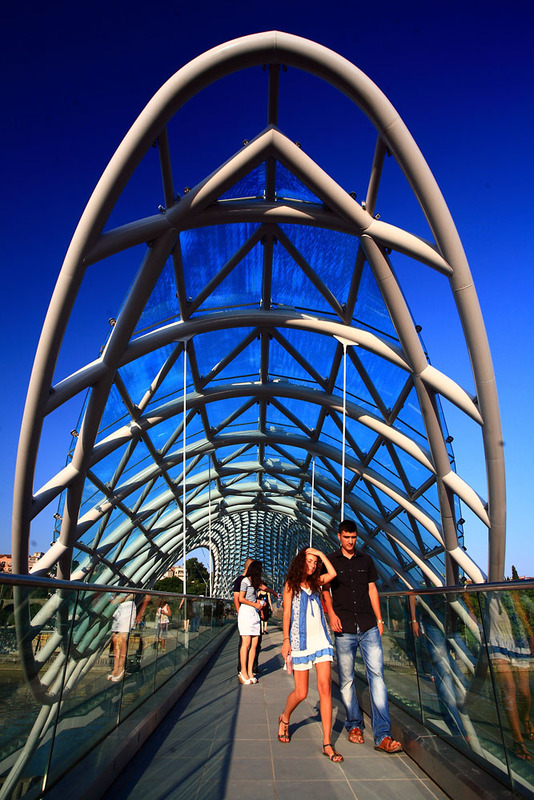 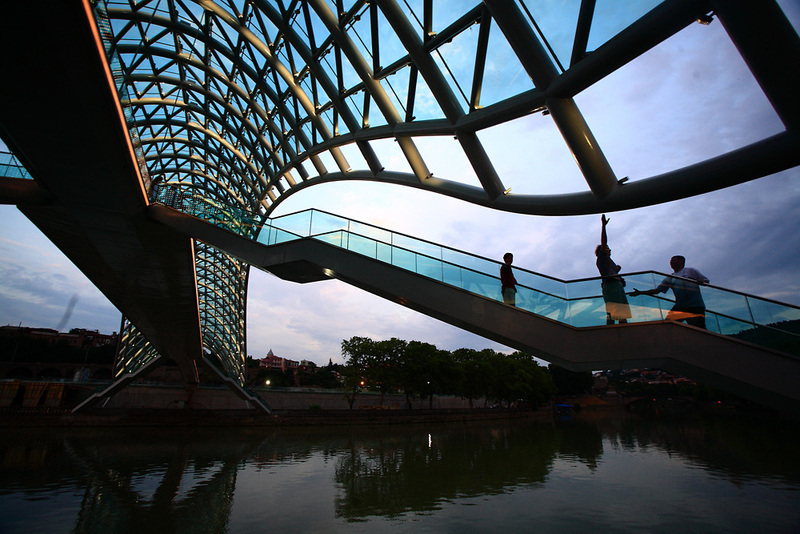 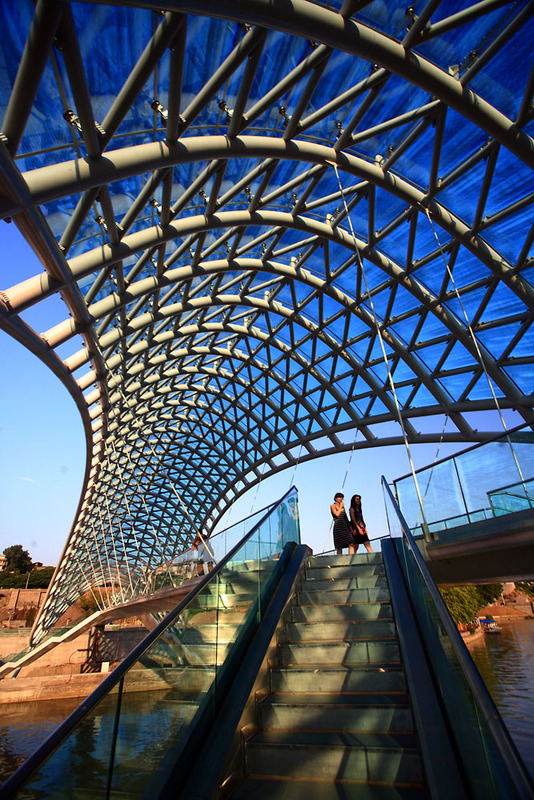 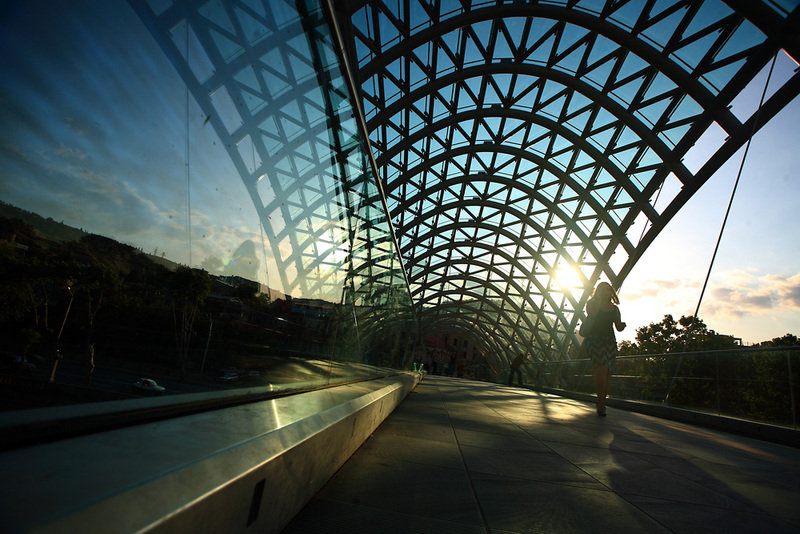 Covered with crisp wafers of glass encased in a steel membrane, the pedestrian Bridge of Peace is photographic eye candy. 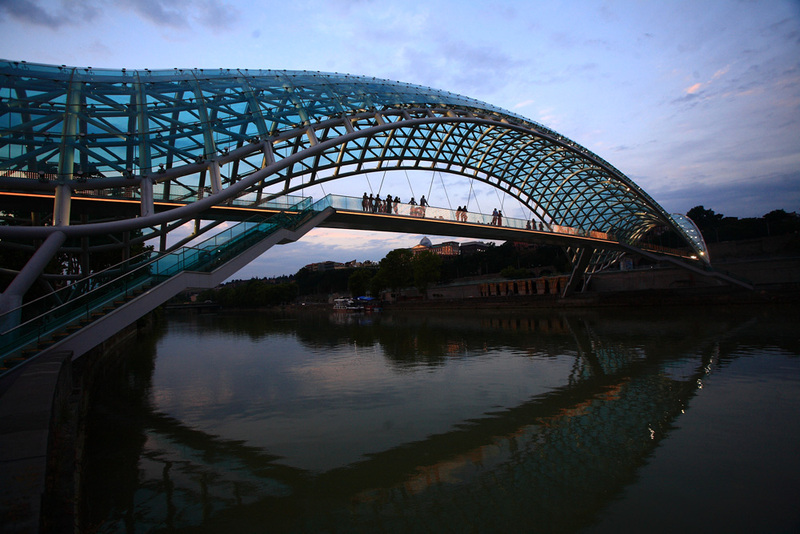 Designed by Italian architect Michelle de Lucchi, the bridge has a bow-shaped sunroof that glitters by day and comes ablaze with neon lighting by night. 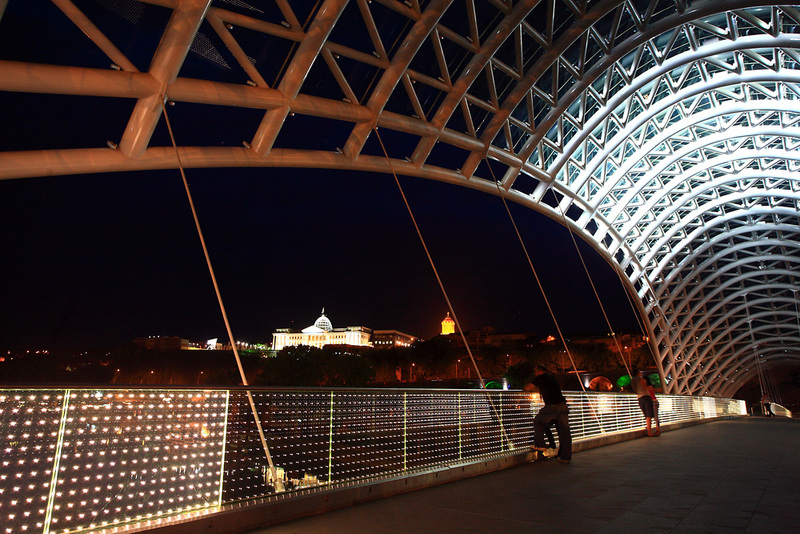 Georgia's presidential palace, as well as an ancient fortress wall, a clifftop church and a statue of the city’s legendary founder, King Vakhtang Gorgasali, all overlook the new sparkling marvel on the block. 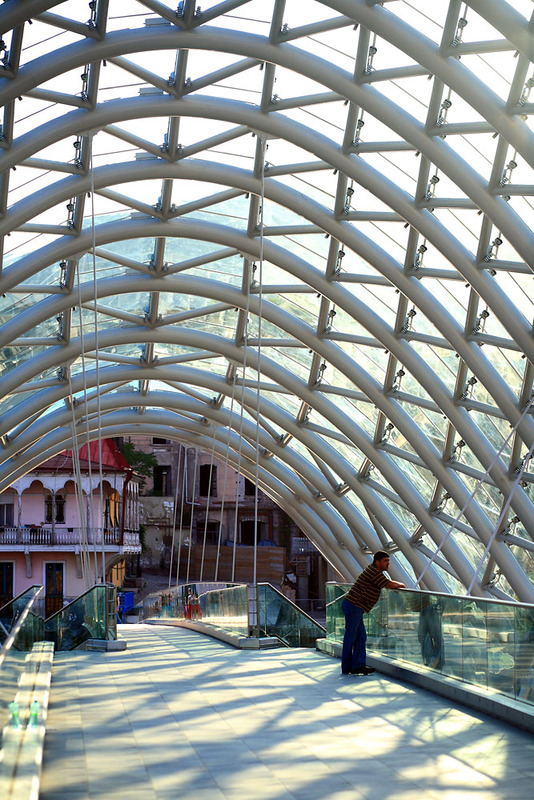 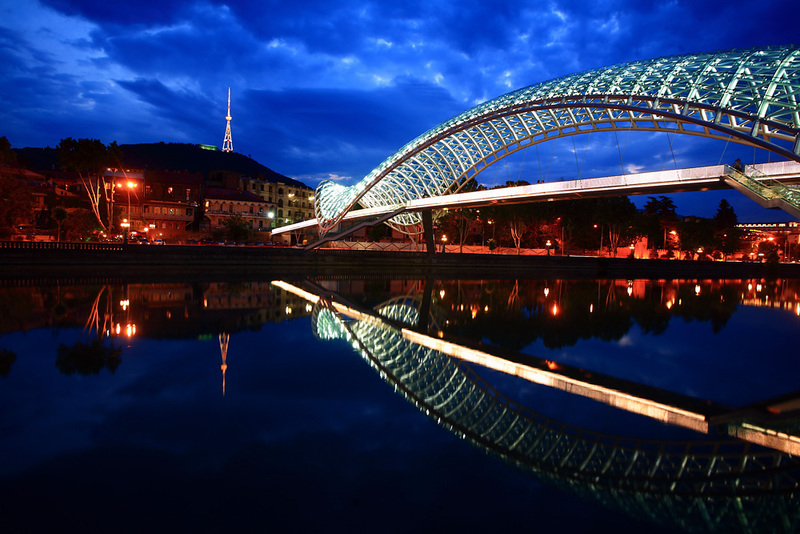 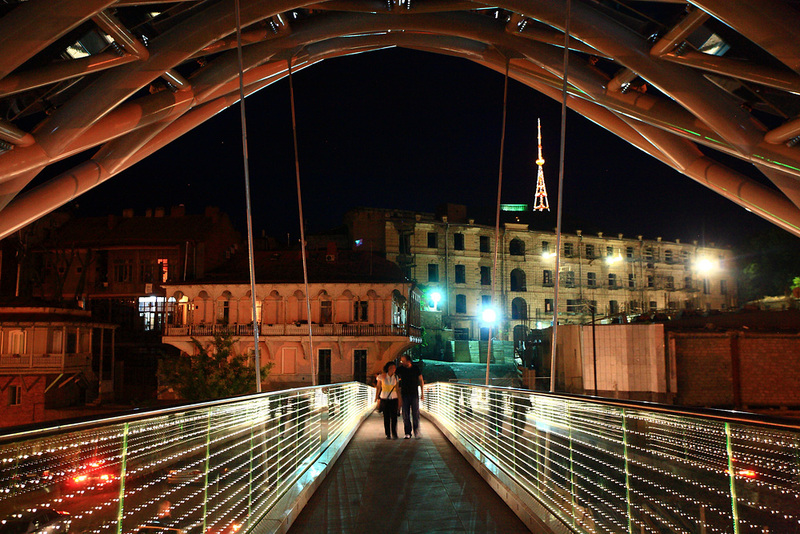 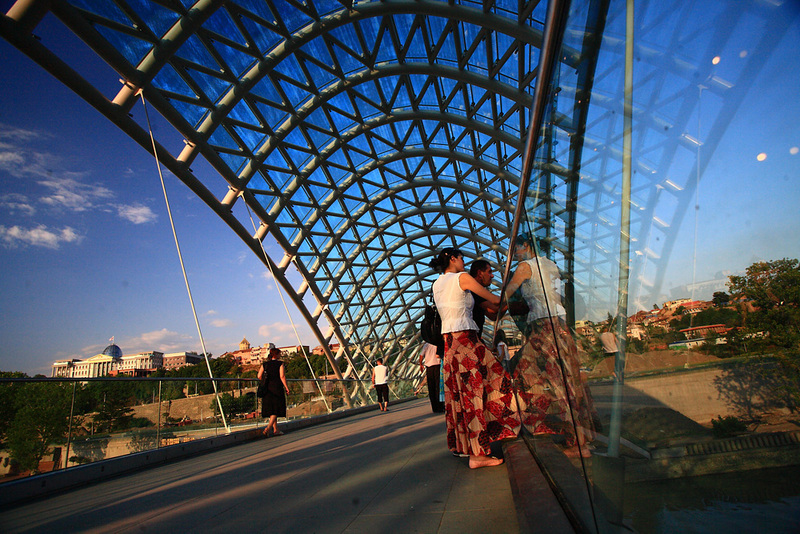 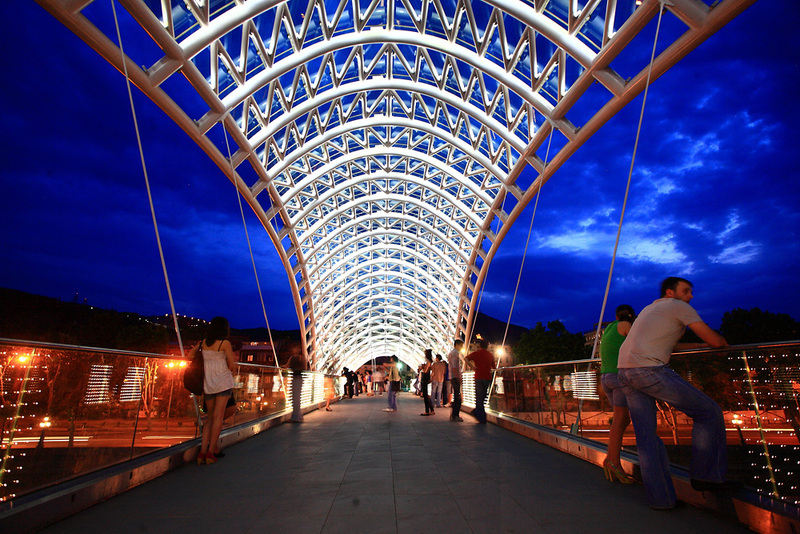 Meant to connect two banks - a historic café district and an upcoming modern promenade - the bridge caused a schism rather than unity as some architects say its icy glass and steel clash with the classic brick, woodwork and ornamental architecture of Tbilisi's 19th-Century past. 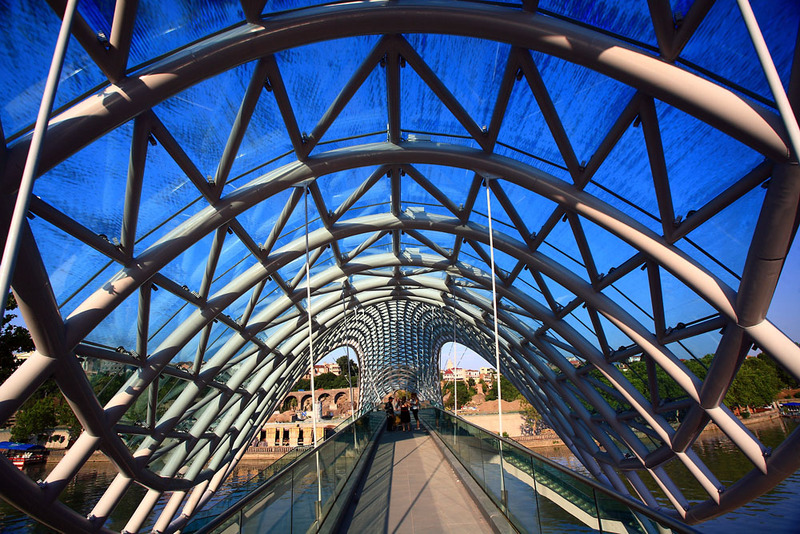 Similar criticism is leveled against the president’s office, another de Lucchi project with an egg-shaped, glass dome bumping on the skyline. 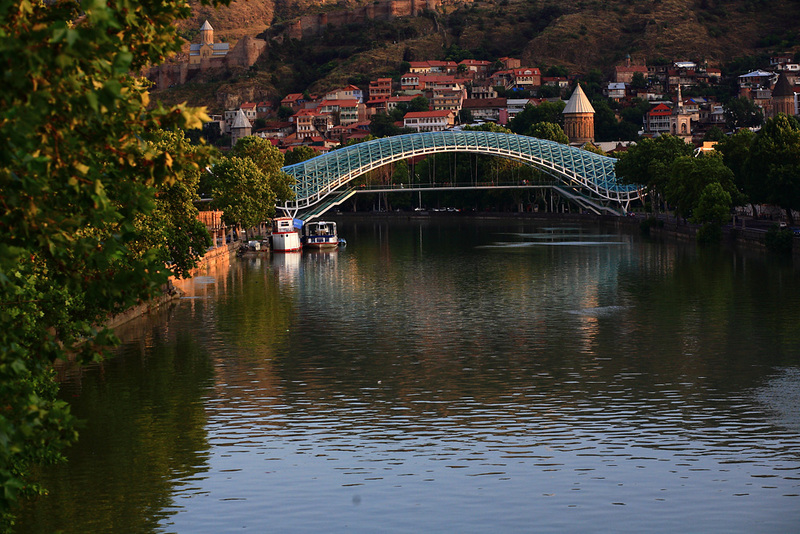 Temo Bardzimashvili is a freelance photojournalist based in Tbilisi.